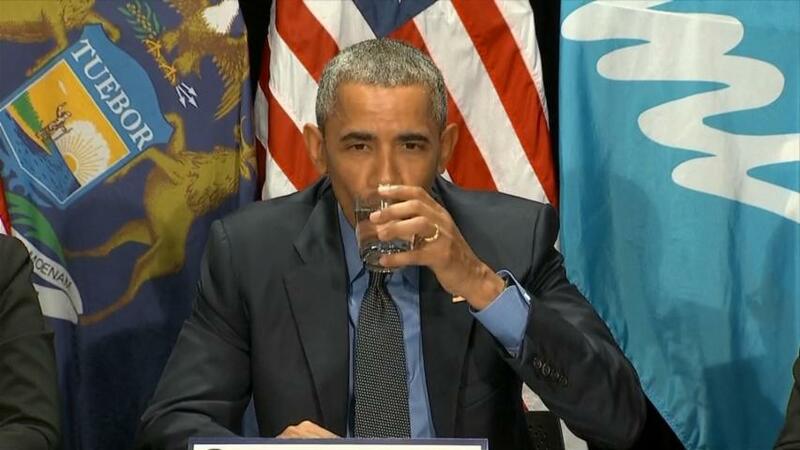 FLINT, Mich., May 4 (Reuters) - President Barack Obama sipped filtered water in Flint, Michigan, on Wednesday and assured parents that children over 6 years old could do the same during a visit to a city still reeling from a scandal over lead-poisoned drinking water. Obama made the trip to the mostly African-American community to reassure residents that the water was safe even as he predicted it would take more than two years to replace the city's aging pipes, which leached lead into the drinking water. "The water around this table was Flint water that was filtered," Obama said during a meeting with regulators as he drank some himself. "It just confirms what we know scientifically, which is if you're using a filter ... then Flint water at this point is drinkable." While under control of a state-appointed emergency manager in 2014, the financially strapped city switched its water source from Detroit's system to the Flint River to save money. The more caustic water caused lead, a toxin that harms brain development, to leach from the city's pipes. After blood tests of children showed high lead levels, the city switched back to Detroit's system last October but residents still must filter their water. Young children are particularly susceptible to the effects of high lead levels. The president urged parents to ensure their children were tested for lead in their blood and said residents should run their taps frequently to flush out any remaining pollutants. Later, at a local high school, Michigan Republican Governor Rick Snyder, who said he had come to apologize, was greeted by boos. "You didn't create this problem, government failed you," Snyder said as some shouted back, "You did!" where questions linger over whether his administration's environmental regulators could have acted more urgently to address the crisis in a city where more than 40 percent of its 100,000 residents live in poverty. The administrator of the Environmental Protection Agency, Gina McCarthy, and Health and Human Services Secretary Sylvia Burwell accompanied Obama on the trip. Michigan brought charges against three state and local officials last month for misleading regulatory officials and manipulating water tests. The Michigan attorney general said more charges were to follow. 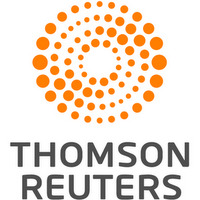 One of the three already charged reached a deal with prosecutors on Wednesday in which he agreed to cooperate in the probes. Critics say the federal EPA shares blame for not reacting more urgently. Susan Hedman, the EPA's Midwest chief and an Obama appointee, resigned in February amid scrutiny for not acting quickly on a memo from agency scientist Miguel Del Toral in June 2015 that said tests showed high lead levels in water from Flint homes. Last week, Flint residents filed a damage claim for $220 million against the EPA alleging that negligence led to injuries of more than 500 people. The complaint cites a Del Toral memo that said it would border on criminal neglect not to warn Flint residents about lead contamination. The EPA has said it will look into the complaint. The Federal Bureau of Investigation said in February it was joining a criminal investigation with the EPA's Office of the Inspector General and federal prosecutors to explore whether laws were broken by a range of officials. The EPA, whose budget has been squeezed by Congress, acknowledges there are issues with its lead and copper rule that need to be addressed to prevent similar crises in other cities. The agency will propose changes to the rule early next year.